National charity, LimbPower is pleased to announce they will host two events for young amputees and children with physical impairments in 2017. On Saturday 24 June, LimbPower will bring the Junior Games to Birmingham – a new date on their sporting calendar. Then on Saturday 30 September the Games return to Stoke Mandeville Stadium in Buckinghamshire. 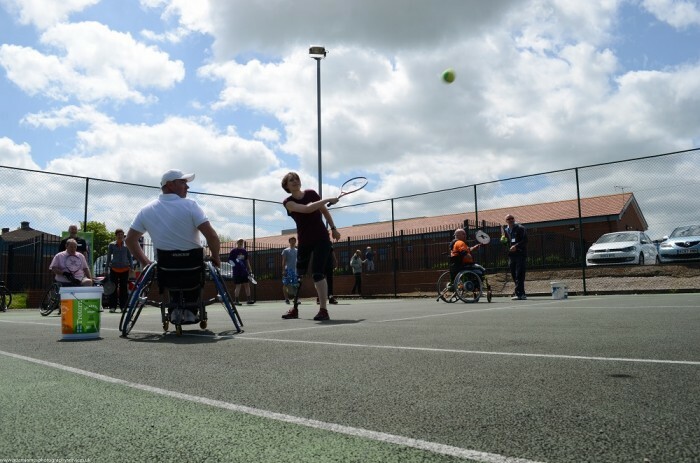 For many years, the LimbPower Junior Games has provided children and young people with a great opportunity try out new sports and activities in a fun, friendly and supportive environment. LimbPower is delighted to expand their events programme this year and take the Junior Games to Birmingham for the first time. The Games are open to children and young people aged five to eighteen with a physical impairment. Sports and activities on offer this year will include climbing, wheelchair basketball, track and field athletics, cycling, sitting volleyball, tennis, archery and football (subject to change). For many participants, the Junior Games is one of the first opportunities they have to try out lots of different activities. Saturday 24 June – LimbPower Junior Games Birmingham, at Small Heath Wellbeing Centre. Saturday 30 September – LimbPower Junior Games Stoke Mandeville, at Stoke Mandeville Stadium. More for information about the LimbPower Junior Games 2017 please visit www.limbpower.com or contact Andy Brittles, LimbPower National Sport Development Officer. Email andy@limbpower.com or call 07503 030502. LimbPower’s vision is to change lives through the power of sport, physical activity and the arts. The Junior Games support their ongoing work to increase the number of suitable and available activity opportunities for people with limb impairments in the UK. For more information about LimbPower, visit www.limbpower.com. Be the first to comment on "LimbPower offers double sporting fun for young people in 2017"